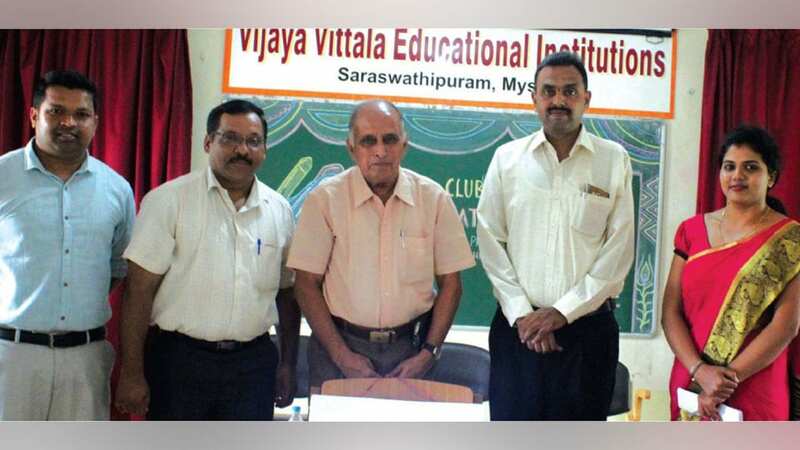 Mysuru: The Science Club of Vijaya Vittala PU College, Saraswathipuram, was inaugurated by Dr. C.D. Prasad, Retired Scientist, ISRO, Bengaluru. He stressed on the importance of Basic Sciences in developing technology and called upon students to study pure science in depth and carry out research work. H.Satyaprasad, Principal of the college, presided. Mysuru Science Foundation Coordinator Srikanta Murthy, lecturers Medha and Rajesh, Coordinators of the Club, were present. Vishrutha and group rendered the invocation. Madhurya welcomed. Pruthvi and Gnanesh compered. Namratha Sairam briefed the activities of the Club. Aman Shetty proposed a vote of thanks.